World-renowned classic car repair and restoration company, JD Classics, has confirmed that legendary racing driver, Derek Bell MBE, will be guest speaker at their October 2016 breakfast morning. JD Classics Breakfast morning October 2016 – What’s on? Derek Bell MBE and compere Simon Taylor will take to the stage. Derek will relive highlights from his incredible career in motorsport. With five wins at Le Mans, two World Sportscar Championship wins, driving for Ferrari in F1 and three 24 Hours of Daytona wins there is certainly plenty for him to talk about. 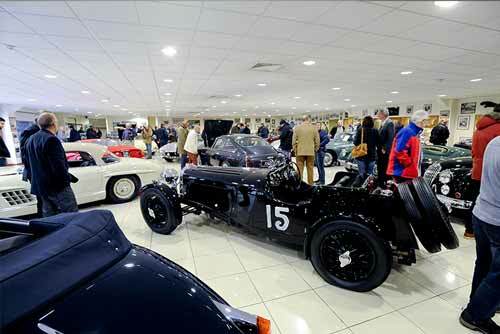 Guests also can look around JD Classics 100,000 sq/ft site that includes metalwork, paint and engine shops and seven showrooms stocked full of concours-worthy restorations and legendary racing cars from years gone by. Taking place from 08:30am on Sunday 23 October at JD Classics. Places are limited for the JD Classics Breakfast morning and tickets are only available through a ballot. If you would like to be allocated tickets call +44 (0) 1621 879579. Be quick, this is a popular event. The ballot closes on Friday 7th October 2016.